Bristol's deputy mayor has opposed plans by the city council to close seven libraries to save money and "modernise" its service. Bristol City Council needs to slash £1.1m from its library budget by 2016-17 and 40 jobs are under threat. Mayor George Ferguson approves of the plans, but his deputy Geoff Gollop, said it does not reflect users' wishes. The plans are part of a continuing consultation into the future of the city's library service. Following a council cabinet meeting where he voted against the plans, Mr Gollop said people have been consulted about the library service, but "no one has been asked whether the libraries should close". He said their answer would be "a big, resounding 'no'". "We've had a consultation but the recommendations don't reflect the views of the people who were asked," he said. 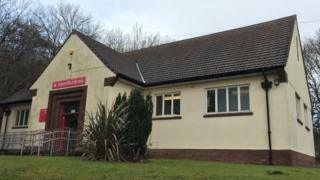 Libraries in Clifton, Redland, Eastville, Sea Mills, Marksbury Road in Bedminster, Westbury and Wick Road in Brislington are under consideration for closure. Image caption Deputy Mayor Geoff Gollop said people have been consulted about the library service, but "no one has been asked whether the libraries should close"
A total of £83m needs to be saved by the council, which is led by independent mayor Mr Ferguson, over the next two financial years. The council is also considering cutting opening times, installing self-service machines and changing the layout at some other libraries.